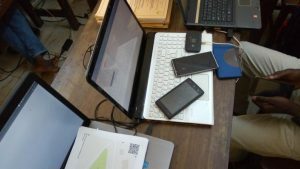 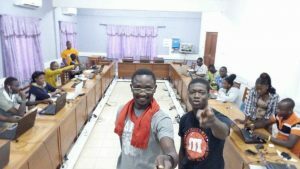 The #ActionOifProjetEOF « OpenStreetMap, Free GIS and OpenData » animation and training operational framework (blog post) implementation got full speed in Western Africa this week of 16 October 2017 week (blog post) with 12 workshops of six days each and 4 one day actions lead by over 30 members of association Projet EOF for over 150 participants. 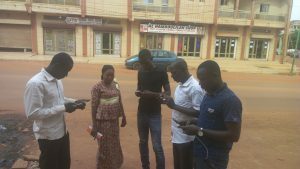 Here’s a new update about work carried out under the #ActionOifProjetEOF operational framework as of 23 October in Senegal, Mali, Niger, Burkina, Ivory Coast, Togo, Benin and Haiti. 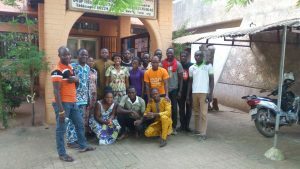 Since 16-October 2017, over 30 members of Association Projet EOF members have been active with over 100 participants in running and leading 10 workshops in Dakar (Senegal), Bamako and Kayes (Mali), Niamey (Niger), Ouagadougou (Burkina-Faso), Abidjan and Bouaké (Ivory Coast), Cotonou and Adjara/Porto Novo (Benin) . 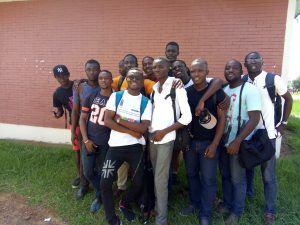 Together they went through 5 days training in OpenStreetMap mapping, Free GIS and opendata. 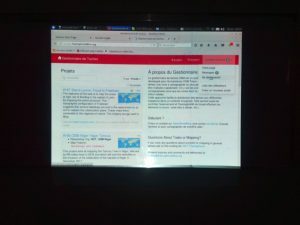 They grasped tools, techniques and learning/teaching resources set up for those workshops. 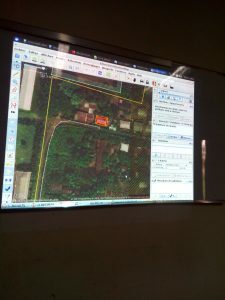 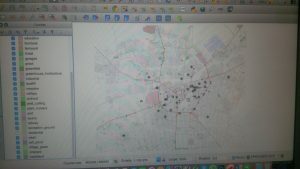 As a result they can create geospatial opendata wih OpenStreetMap which meet their needs, they can use OSM and other geographical opendata (such as the HDX platform) with free software fit for thier needs and operational contexts like the webmapping service uMap or the GIS and cartography software QGIS. 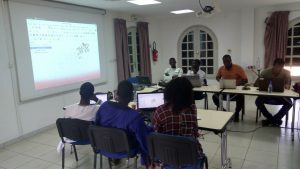 Like during the first week of #ActionOIfProjetEOF (9-October 2017), these five days of collective learning lead to organizing a one day mapathon (a workshop focused on data creation with OSM) targeted to priority areas of interest (AOIs) for the OSM project in these territories. 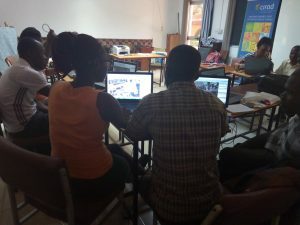 This collective ability to apply technical and community know how acquired during the training is promising for future reuse, replication of activities conducted within the #ActionOifProjetEOF operational framework and thus its impact. 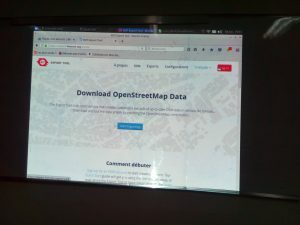 This same week, parallel to the 10 six days « OSM, OpenData and Free GIS » camps, a dozen of association Projet EOF memebers held 4 one day actions mixing conferences, technical sessions and mapathon to reach audiences beyond the participants of the one week actions. 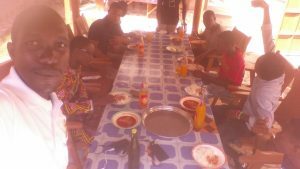 #ActionOifProjetEOF on week 23-Oct 2017: 7 six days workshops and 2 one day actions. 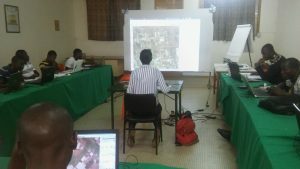 While in Niger and Burkina Faso, the second six days workshops of Niamey et de Ouagadougou will end for over thirty participants with a GIS session (QGIS) on 23-Oct and a mapathon on 24-Oct in Sénégal, Togo and Haiti these are 5 workshops of the same nature that a dozen members of association Projet EOF and the OpenStreetMap project started this Monday 23-Ootober in Saint-Louis (Sénégal), Lomé (Togo) as well as Saint Marc, Cap Haitien and Port Au Prince (Haiti) for over 75 participants. 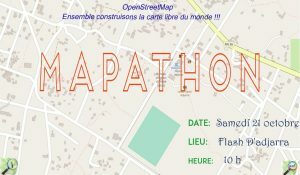 For the second week in a row, this week of 23-Oct, over twenty membres of association Projet EOF and the OpenStreetMap project will be active with over a hundred participants to develop OpenStreetMap, Geomatics, free software and opendata in Haiti and Western Africa through trainings and mapathons to keep growing OSM in these territories by reinforcing qualitatively and quantitatively local communities and by enriching the map. 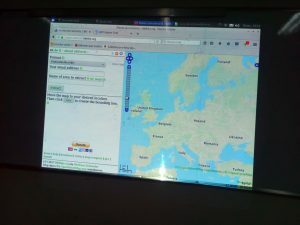 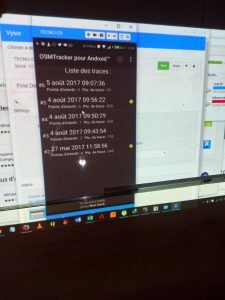 Like during last week (16-Oct 2017), other members of the association will lead this week (23-Oct 2017) in parallel to these 7 six days workshops a series of one days actions mixing conférence, technical sessions and mapathon to bring OSM, Geomatics, free software and opendata to wider audiences.